“Paris has to be reduced to energy points, has to be obliterated, and then rebuilt by one’s mind in order to be livable. Otherwise you become car fumes, pornographic junk, a ball of hatred, the most fallen of the banished angels.” . Apparently, the entire body of the poet speaks through this gem-like prismatic work. 1. 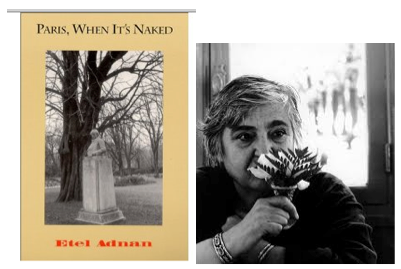 Etel Adnan, Paris, When It’s Naked, (Sausalito, CA, Post-Apollo Press, 1993). 94.